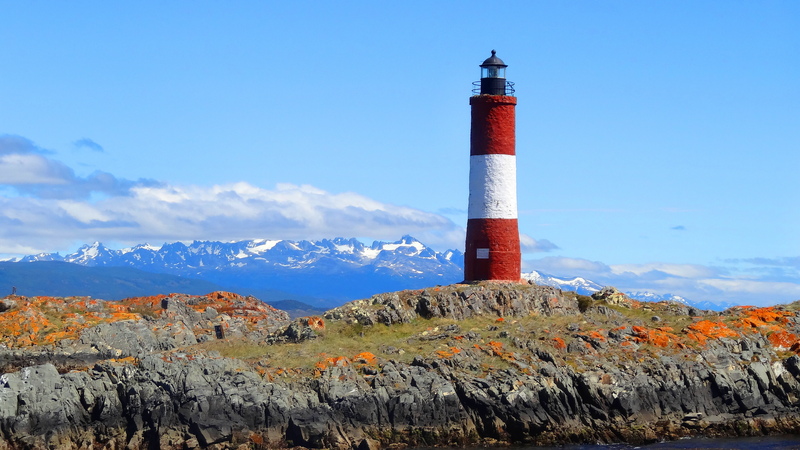 Ushuaia & The Beagle Channel! 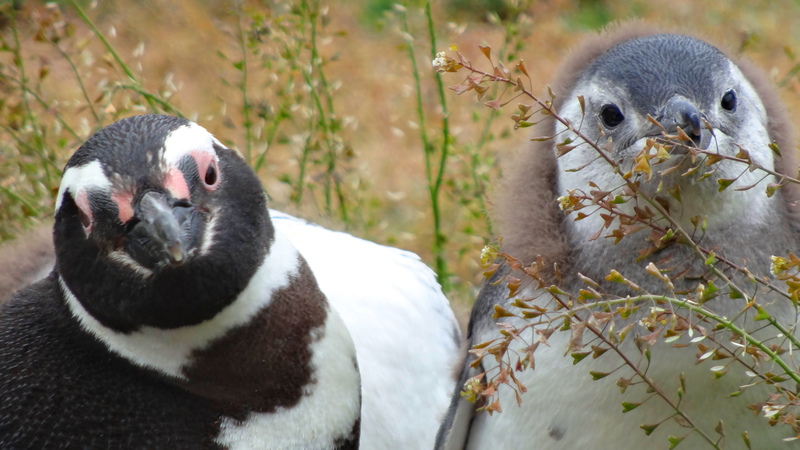 The happy penguins of Patagonia! The Beagle Channel is named after Darwin’s ship, the HMS Beagle. Darwin explored and mapped the entire southern tip of Patagonia. Channel view from Andes hike. 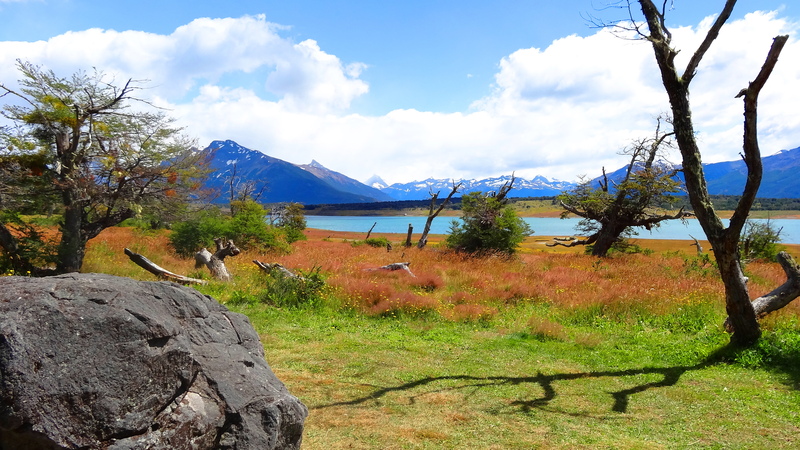 I would recommend adding gorgeous Patagonia to your bucket list if you like to travel. Happy Sunday to you from The Holler! It’s beautiful. I am not sure that my bucket is big enough for all the things I want to do. I started to worry when my list was near completion!! So, I just added more places! lol! I am so envious and I bet you haven’t even wet a line! Beautiful images. No we didn’t, but I will tell you the fish caught in the channel and in the Drake Passage were simply divine. No pollution makes for healthy fish! Gasp! Breathtaking. Thanks for taking us there. 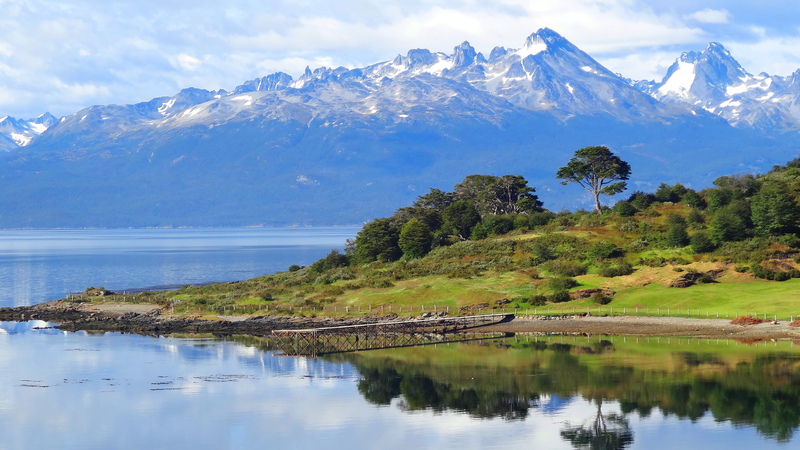 fab post Cindy, the colours are brilliant, I had never thought about Patagonia, but you make it look stunning! The scenery is wonderful but it is the photographer whom I take my hat off for. What a capture! There were thousands of penguins!! All cute! Cheers & hugz back 2 U! Beautiful place with mixture of landscape – mountains, big lake and fields. Are those horses wild horses? That is a great picture of them. Beautiful photos! Will add to the bucket list fer sure! Excellent!! Be sure to post your snaps!! Absolutely beautiful. Your photos introduce me to some of the most amazing places! Oh I am super excited for you!! Would love to hear where you are thinking of going……You will love it anywhere though! Visited four years ago…it’s absolutely breathtaking. So glad you did!! Where did you go?? Beautiful pictures, again, Cindy. The penguins are just so cute. Thank you! They were adorable and there were thousands of them!!! Aren’t they gorgeous?! I LOVE that first picture 🙂 🙂 So sweet. And the horses at the end – majestic creatures, they are. 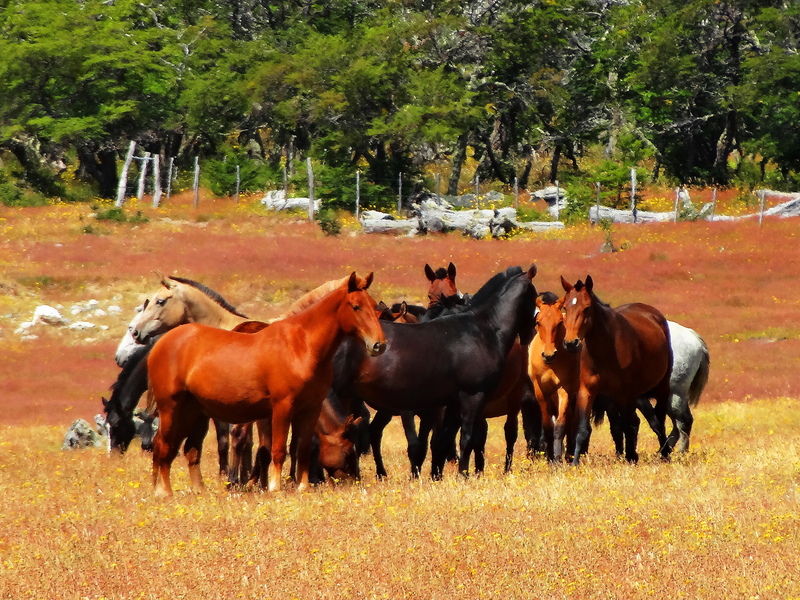 The penguins and the Patagonian horses were a true thrill to see in the wild. I hope you go someday and cheers to you! Lots of great scenes & scenery! Pretty Poppies and Peculiar looking Penguins. 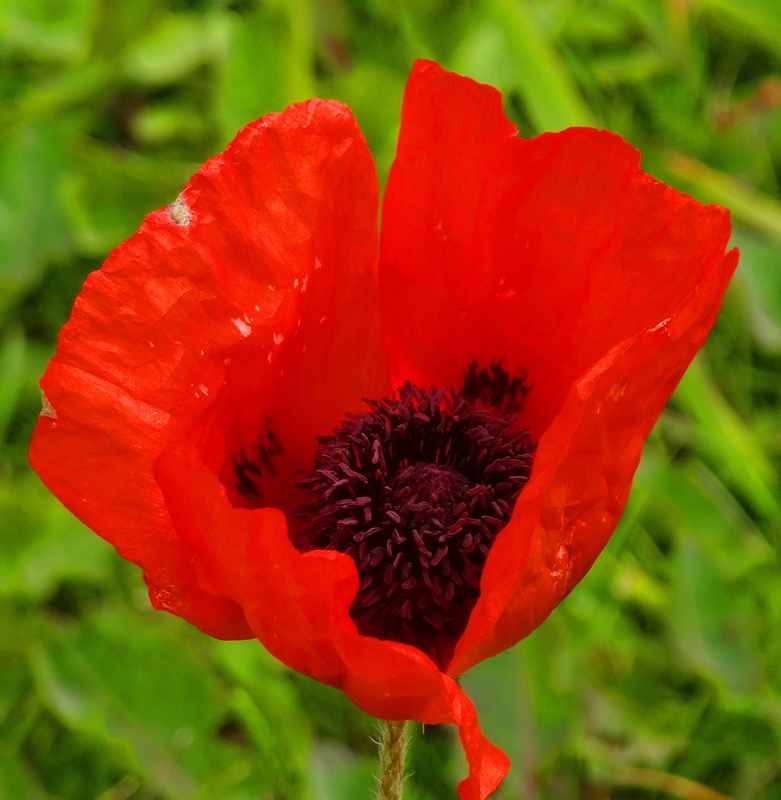 This is an alliterative comment….pretty poppies, peculiar penguins. I am impressed! It is getting to the point where I can’t wait for your comments!!! LOL! Bravo! Once again……. Love the horses, Cuz ! The rest of the pics are great too. Knew you would love the horses…..can’t wait for your next house update!! Countertop arrived today, tomorrow the fridge and dishwasher get installed and plumbing attatched in kit. sink. Friday is moving day for the rest of the furniture. I’m waiting for all that before I send a final update. Hugs! How perfectly exciting!!! Can’t wait to see, but take your time & enjoy!! You take me on such wonderful adventures I never have to leave MY happy place. 🙂 Thanks Cindy! I love taking you along Eunice!! Cindy, I like the variation here. From the very small, to the panoramic, you framed it all so invitingly. 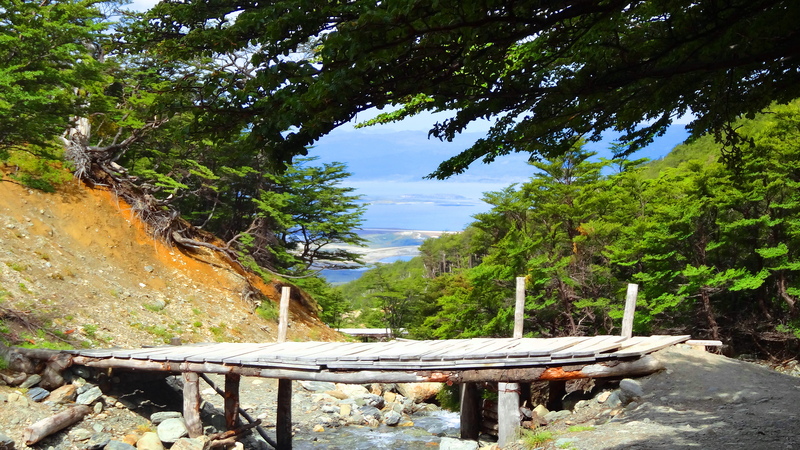 I especially like the shot of the slatted bridge mid-hike for perspective, and the poppies!! Wizard of Oz has nothing on that vibrant color! Amazing, and amazing…it’s on my bucket and PAIL list!! Danke schoen! Die Freundlichkeit ist immer sehr willkommen! Penguins DO always look like they’re smiling! Lovely the way the clouds reflect into the water, just like a mirror. All of these are such lovely pictures — it looks like beautiful weather graced you for this trip! Thank you Becky!! It was magical! Cheers to you and hope you are feeling better! Figures…you’ve been to the end of the Western Hemisphere as well. Great photos, along with a bit of education. Thanks ! I find myself struggling for adjectives every time I visit your Blog, Cindy! Your Photography is mind blowing. It is such a treat joining you on these pictorial excursions. 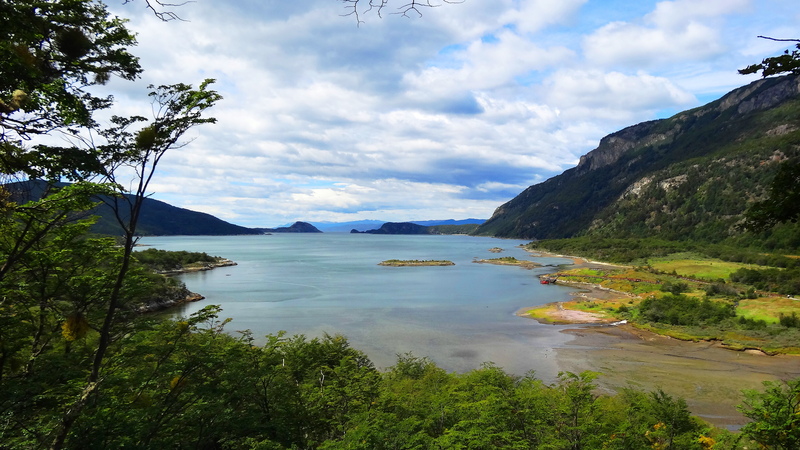 This lightning tour of scenic Patagonia is no exception! Those penguins do look happy, don’t they? I am honored by your kind words. Thank you so much! Of course feel free to use the photo and thank you for asking. I would love to see the poem. Comments like yours make blogging so rewarding. Thank you sincerely Cliff! Sie sind ein wunderbarer Freund Klaus! Vielen Dank und ein schones Wochenende! Gorgeous photos from the place where I would love to visit someday! I hope you do go! You will fall in love! Beautiful photos! 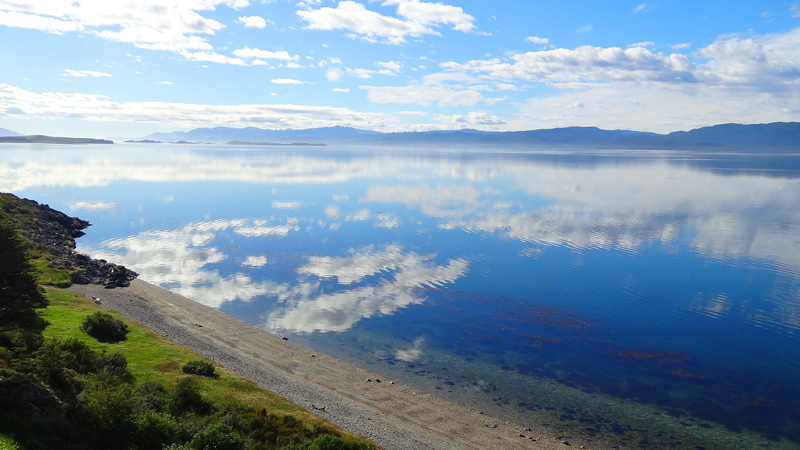 I visited Patagonia and Ushuaia a few years ago and have such wonderful memories – they all came back to me through your photos! Thank you. I like them too!